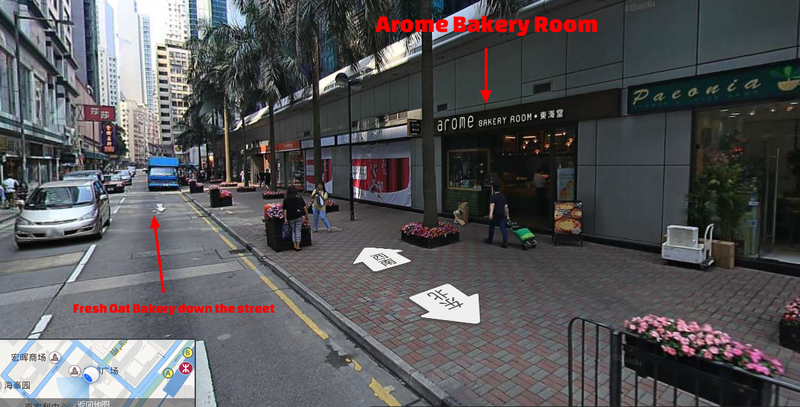 In our haste to find one of those mom and pop bakeries that sells the elusive egg tarts before hopping on a bus to catch our flight, we found this place, Arome Bakery Room, just down the street from our hotel, iClub Fortress Hill Hotel. 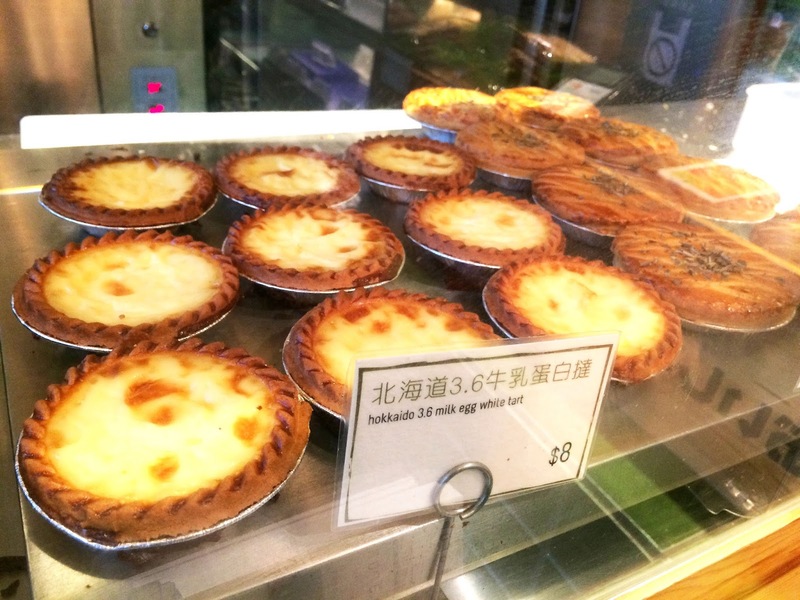 This was a stylish modern bakery that was well decorated and had beautiful pastries for sale, however all we wanted was some egg tarts, and these were the ones they had. At 8 HKD each (around $1.33) it was more than twice the price of the usual egg tarts you'd find in the corner store bakeries, but it was beautiful and made of egg whites only, so we decided to try it. The edges of the pastries were indented beautifully and the crust was delicious and held together well. The egg white custard filling didn't much have the "eggy" flavour of the usual egg tarts, but they were lovely. We were also flying to Japan while carrying these so we appreciated the pastries being in tins rather than cupcake wrappers, and having a solid box to hold onto as well. 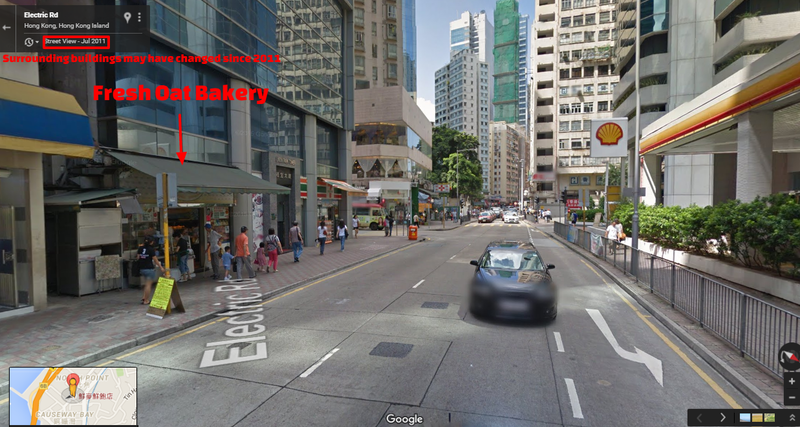 Here's a streetview of the location. If you're in the area be sure to give them a try! The next bakery we visited was just down the street from here. We continued down Electric Road to our hotel and were amazed to find a bakery selling the authentic egg tarts (using whole eggs instead of just the whites), just steps away from Arome Bakery! 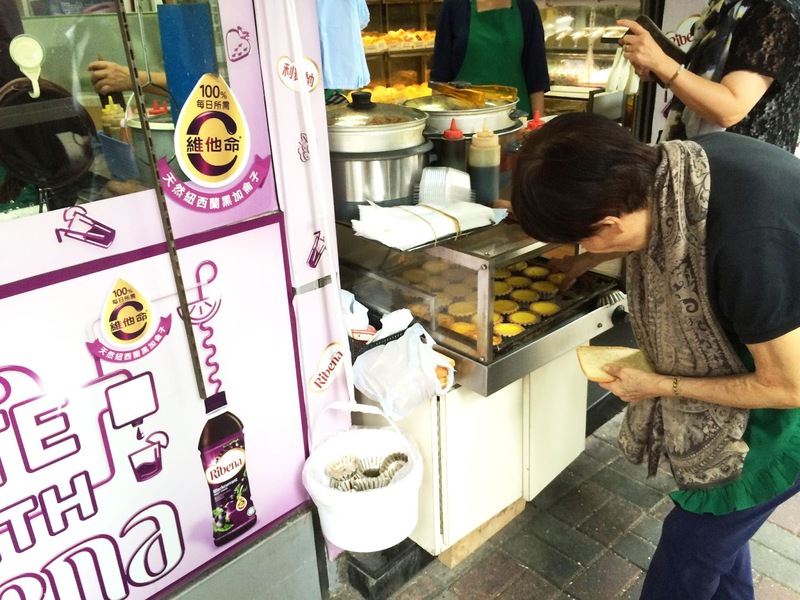 There we saw the welcome sight of the local bakery lady who will tap out warm and soft egg tarts from their metal mini-pans gingerly onto a slice of bread, then gently package them up onto cupcake wrappers and into a paper bag. They cost very little, around 3 HKD each ($0.50 CAD). Perfection. 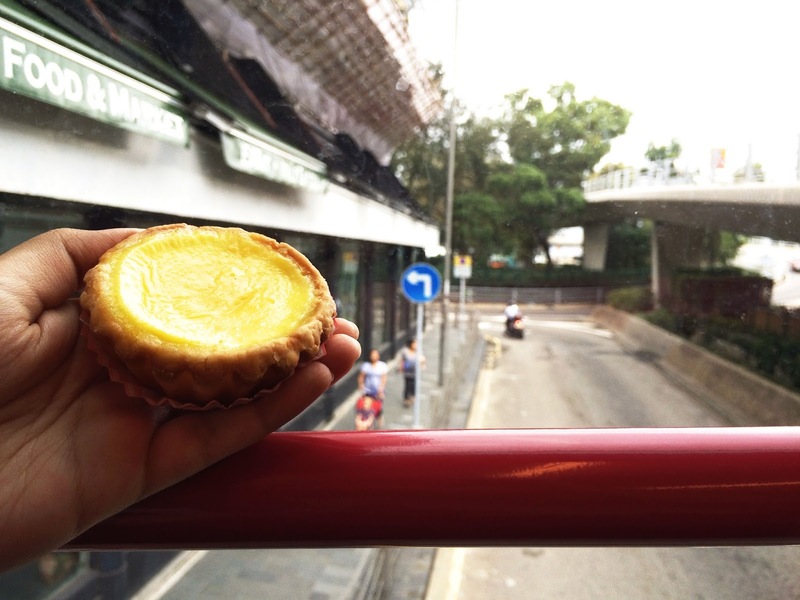 We decided to enjoy ours on the bus ride to the airport, and it was everything I remembered, a slightly sweet egg custard flavour enveloped in a fresh crumbly crust. Just be careful! These pastries are so fresh and delicate that they'll likely fall apart after a bite or two. The egg white version from Arome Bakery was lovely, but in my opinion I'll always prefer the original. Streetview courtesy of maps.google.com. Note: This image was taken in 2011 and surrounding buildings may have changed. Next time you have a layover in Hong Kong, do yourself a favour: Get some egg tarts, and say bismillah! See more of our travels around Asia in our World Trip Directory, and be sure to follow us on Facebook for more info, here!